I have recently received another Bzzkit from +BzzAgent The campaign is about Schick Hydro5 Razor. 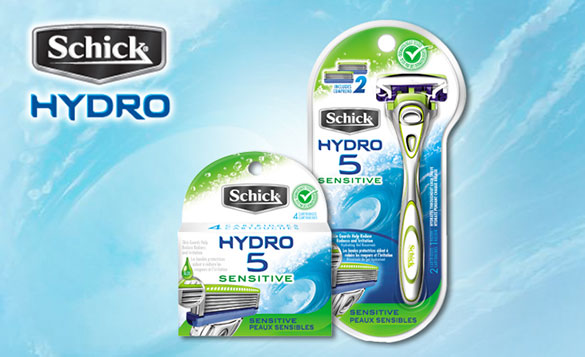 The Schick Hydro® 5 Sensitive Razor is bringing it back to the schoolyard. Well, it was only that one kid who shaved back then, but you know what we mean. They’re willing to put up or shut up when it comes to their best shave for your sensitive skin. So try out the Schick Hydro® 5 Sensitive Razor, and let your friends know they should take the Schick Hydro® Razor Challenge, too. Ultra Glide® Blades and Skin Guards keep friction under control with five dermatologist-tested blades that smooth the surface of your skin and double the points of contact to reduce irritation. Hydrating Gel Reservoir has aloe and Vitamin E to soothe your skin with every stroke and hydrates throughout each shave. Flip Trimmer exposes all five blades with the flip of a thumb, allowing you to easily address trimming in tight spaces. Ergonomically Designed Handle effortlessly fits into your hand, making each shave a breeze. I have previously used the Schick Hydro5 groomer [Here] So I already knew it won't disappoint me. It shaves well although I prefer 3 blades razor for my smooth shave.THis new Hydro5 Razor quite reminds me Gilette Fusion. It's great for the sensitive skin as well.It works well for my oily skin too. I would recommend to give this razor a try.Overall I have an average point to give this razor because you have to pressure a lot to have a nice cleaned shave! !